The China BioPharma ETF (Nasdaq: CHNA) team traveled to Shanghai, China in November and attended the 2018 China Healthcare Summit that was hosted by BioCentury and BayHelix in collaboration with McKinsey & Co. 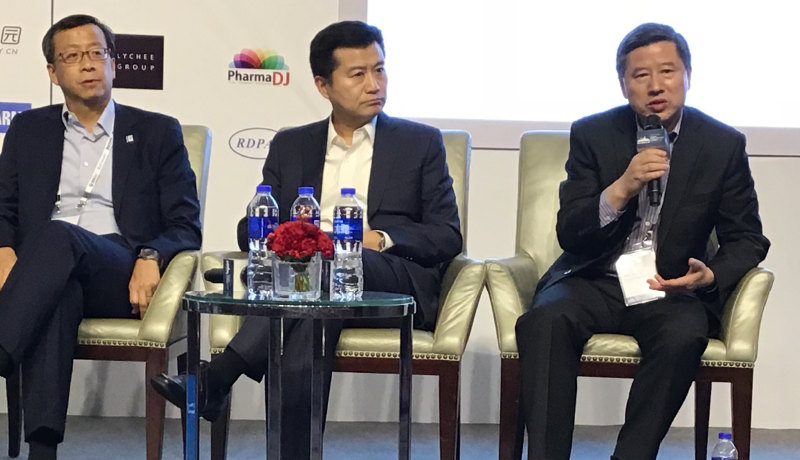 This two-day event, held November 13-14 at the Jing An Shangri-La Hotel, brought together leaders from China’s biopharma sector and from around the world to discuss the latest issues impacting life sciences in China. CHNA ETF companies that participated included 3SBio, Ascletis, BeiGene, GenScript, Hutchison China MediTech, Lee’s Pharma, and Zai Lab. View all holdings of the China BioPharma ETF. 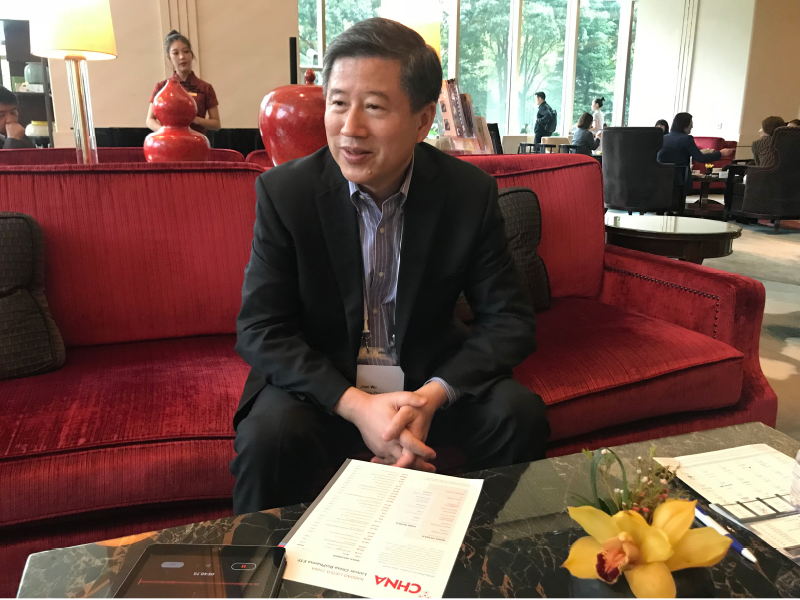 On the sidelines of the conference, we had the opportunity to conduct an exclusive interview with the Chairman and CEO of Ascletis, Jinzi J. Wu, Ph.D. Before founding Ascletis, Dr. Wu worked for GlaxoSmithKline in the Unites States, where he was Vice President of the HIV (human immunodeficiency virus) Drug Discovery Performance Unit. He was also previously Vice President of Pre-clinical and Basic Research at Ambrilia Biopharma, and held various roles in his career at PhageTech, Immunex and Novartis. Dr. Wu received his bachelor’s degree and master’s degree in Physiology from Nanjing University and his Ph.D in Cancer Biology from University of Arizona. 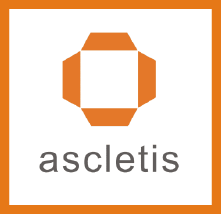 Ascletis made history in August when it became the first biotech company to have an initial public offering (IPO) under new rules established by the Hong Kong Stock Exchange that allow early stage and pre-revenue biotech companies to list there. This is one key element of change we believe may be catalyzing a new era of innovation for China’s biopharma sector. 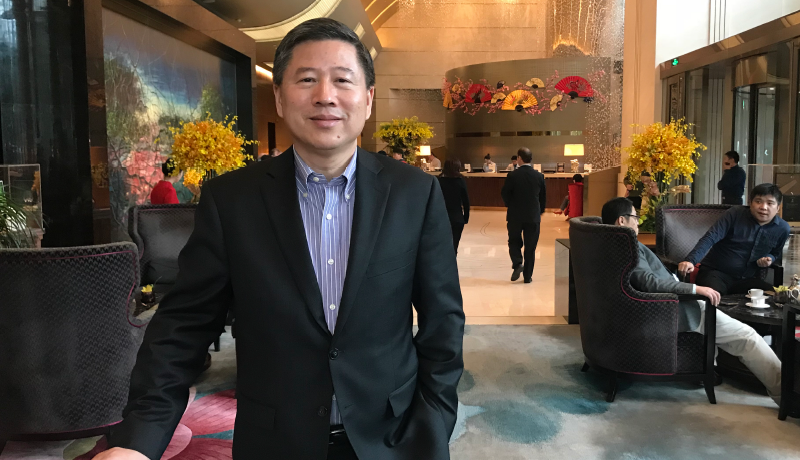 Since then, Ascletis has already become a revenue generating company after launching its first new medicine for hepatitis C. Dr. Wu tells us more about that, the company’s other pipeline assets, and why he returned to China to found Ascletis more than five years ago. Below is a transcript of our wide-ranging interview, which has been minimally edited for clarity. CHNA ETF: Thank you for joining us today. Maybe at a very high level can you tell us what your company does? Jinzi Wu: Our mission is to become a world-class biotech company focused on three major disease areas: antivirals, fatty liver disease, and oncology. So for antivirals we have three major viruses: hepatitis C, where we have a drug already on the market, hepatitis B, and HIV. For fatty liver disease, the major focus is NASH (nonalcoholic steatohepatitis). For oncology, the focus is liver cancer. CHNA ETF: Let’s start with hepatitis C. You mentioned that you have a drug that is already approved in China. When was it approved and what is it like to commercialize a drug in China? For example, how large of a sales force will you need one day? Jinzi Wu: First, it is very exciting to have a commercial product that can cure the disease. Our first drug is Ganovo, and with 12 weeks of treatment it delivers a 97% cure rate in hepatitis C patients - which is huge, almost perfect. It has a short duration, 12 weeks, and a high cure rate of 97%. To prepare for the launch of this drug, we started to build our commercial team by hiring a first sales director from Roche two years ago before June. So that is why we are well prepared. Right now we have a sales team of 150 people. They are everywhere in China selling Ganovo. So we benefit a lot in terms of having invested early in the commercial organization because commercialization is very different from research and development (R&D). You need to have the best team. We do have the best team from Roche, from Bristol-Myers Squibb (BMS), they are veterans in hepatitis C. For example, in selling Roche’s Copegus, which was the leading drug before the direct antiviral era, and also some people selling Daclatasvir at BMS. So, yes, they are the best team in China in my view. CHNA ETF: What is the incidence? How big of a problem is hepatitis C in China today? Jinzi Wu: There are many different statistics and we summarize all of these numbers. For example, based on statistics from the China Center for Disease Control (CDC), there were about 200,000 to 220,000 newly diagnosed hepatitis C patients for the last five or six years. And based on other publications, for example, they say there are 50 million people infected in China. We summarize our data from those and other credible sources like Frost Sullivan. So we believe the prevalence is 1.8%. That means 25 million people in China infected with hepatitis C. So why is 1.8% reasonable? It is reasonable because in the United States, the infection rate is 1% representing 3.2 million people. CHNA ETF: I know you just arrived from the airport. You were at a medical meeting in the United States – the annual meeting of The American Association for the Study of Liver Diseases (AASLD). This involves a second-generation hepatitis C candidate you are developing. What is that, and what type of improvement might it be over the current treatment Ganovo? Jinzi Wu: Well, let me correct you. I don’t think the term “second-generation” is the right term because both drugs are good. The first drug delivers a 97% cure rate. The second drug in combination with the first drug delivered a 99% cure rate. They are just different regimens, different methods of treating the patients. The first drug Ganovo in combination with interferon and ribavirin delivered a 97% cure rate using 12 weeks of treatment. The second drug Ravidasvir in combination with Ganovo forms an interferon-free, you don’t have to take a needle, all-oral regimen for 12 weeks and a 99% cure rate. Look, some people like the iPhone, some people like Samsung, and some like Huawei. So when you have a huge population of hepatitis C patients, you need to give them different options. I’ll give you one example. Most people would like an interferon-free, all oral regimen. But some people are co-infected with hepatitis B and hepatitis C, and an interferon-containing regimen is preferred for them. CHNA ETF: Let’s move to some other parts of your pipeline, maybe the other antivirals like the HIV and hepatitis B programs. Can you highlight some of the assets that you are working on there? Jinzi Wu: Yes, as I mentioned we focus on antivirals, fatty liver disease, and oncology-liver cancer. Our IPO story was all about hepatitis C. We had our first drug approved before the IPO and our second drug filed on the day of the IPO. But actually our story is not stopping at hepatitis C. I think our story is about the three therapeutic areas as I mentioned. For example, hepatitis B and NASH – we have been doing those for a while. After the IPO, we refocused and put a lot of resources in these two disease areas. For example, hepatitis B, there is no cure for that right now so we hope we can deliver something that can achieve a functional cure in the next few years. For NASH, there is no drug approved globally and we want to be first in class globally in NASH. CHNA ETF: Can you tell us about yourself and how the company was founded? We know that you worked in the United States. Tell us about your background and why you chose to return to China to lead a company like this? Jinzi Wu: First, I really want to help patients. That is my passion. I did my Ph.D. in cancer biology and I had been working at Novartis and GlaxoSmithKline in infectious disease and oncology because I wanted to help patients – especially in infectious disease. So when I was in the United States, I was involved in antivirals like HIV. Then, if you remember the deal that Gilead Sciences did with Pharmasset, Gilead bought the drug Sovaldi on only phase 2 data for $11 billion USD. At that time (2011), I looked back at China and there were no companies doing any clinical trials in the country for hepatitis C, and China has the largest population of hepatitis C globally. So that is a great opportunity. First, I can help patients. Second, that is a great opportunity to invest. So it is the reason why I returned back and founded Ascletis. I was the angel investor for Ascletis until we did a Series A funding round with C-Bridge Capital and Goldman Sachs. They were our Series A investors. CHNA ETF: What year was that? How long ago was it? Jinzi Wu: I was the angel investor for the company from 2013 until the end of 2015 when we finished a Series A round of $55 million USD. That is how confident I was in our team, in terms of our technology and our research and development, because at the time we didn’t have any products. But I was confident and I put my own money in. CHNA ETF: Maybe as a last question, can you give us your thoughts on where the biotech sector in China is headed? If we return to this conference a few years from now and speak with you again, what do you think your company and China biotech in general will look like? Jinzi Wu: First, I think that China biotech is booming in general. Second, significant companies are very few. Why? Because China’s biotech industry still has years of a gap compared to the United States. But that is the best time to invest, the best time to do innovation, because China does not have a Gilead, an Amgen, or a Genentech yet. But eventually in the near future we should have it. Where will they come from? It must be from the leaders today. The Hong Kong Stock Exchange provided this huge reform and for the first time in over 25 years is allowing pre-revenue companies to IPO. I think if you look at the companies that have IPO’d, Ascletis was first, BeiGene second, Hua Medicine third, and Innovent Biologics fourth, they are all great companies. So maybe some of them will become China’s Genentech. CHNA ETF: The China BioPharma ETF is an Ascletis shareholder and we wish you the best of luck. We are looking forward to following your successes. Thank you for joining us today. Jinzi Wu: Thank you very much. Opinions expressed are those of the author, interviewee, or Funds and are subject to change, are not intended to be a forecast of future events, a guarantee of future results, nor investment advice. Fund holdings and allocations are subject to change at any time and should not be considered a recommendation to buy or sell any security. Ambrilla Biopharma, Amgen, Bristol-Myers Squibb, Genentech, Gilead Sciences, GlaxoSmithKline, Hua Medicine, Immunex, Innovent Biologics, Novartis, PhageTech, and Roche are not a holding of the Fund or affiliated with the Fund.